"Breakthrough" już w kinach od 17 kwietnia - film o wierze i sile modlitwy! Kolejny ciekawy i inspirujący film na faktach opowiadający historię młodego chłopaka, którego życie dosłownie zapadło się pod lodem - co się stało po prawie przeszło 15 minutach poszukiwana go pod lodem? Historia, która pokazuje jak blisko jest Bóg, który wysłuchuje nasze modlitwy - film o głębokiej wierze w Boga i sile modlitwy, które w połączeniu czynią cuda. 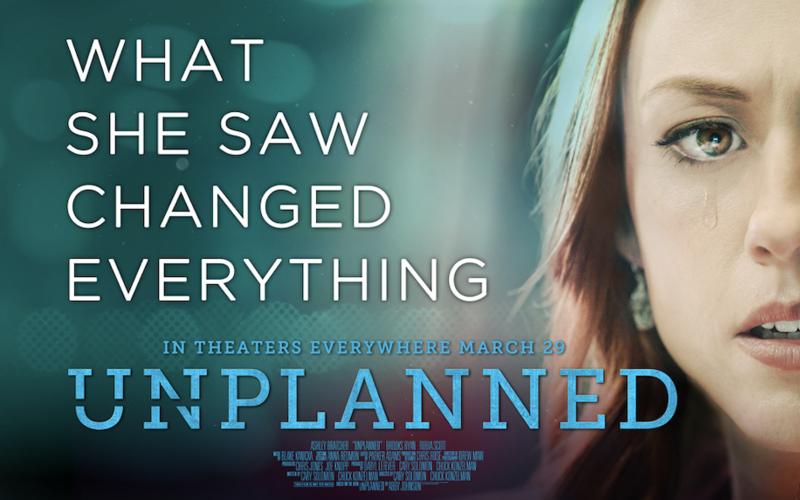 "Unplanned is the inspiring true story of one woman’s journey of transformation. All Abby Johnson ever wanted to do was help women. As one of the youngest Planned Parenthood clinic directors in the nation, she was involved in upwards of 22,000 abortions and counseled countless women about their reproductive choices. Her passion surrounding a woman’s right to choose even led her to become a spokesperson for Planned Parenthood, fighting to enact legislation for the cause she so deeply believed in. Until the day she saw something that changed everything, leading Abby Johnson to join her former enemies at 40 Days For Life, and become one of the most ardent pro-life speakers in America."